Fascinating! I had no idea that beguines were people– or that only wealthy women could become nuns, despite going to school for 12 years with teachers from the Sisters of the Humility of Mary, an order founded by upper-class girls from France. The attacks by the church hierarchy against the beguines have been echoed in recent years by bishops going after orders of nuns who were considered a bit too independent for the old men’s tastes. Women have always walked a tightrope trying to exist in the patriarchy. And still do. Thanks for this post. You’ve introduced me to a term I didn’t know until now. Lovely pictures, too! Wonderful and interesting post. The photos are excellent. Thank you. Very cool stuff – I’ve never heard of a Beguine. Thanks for posting. The pictures are beautiful! LOVE the beguines, and just the whole miracle of that movement at a time of utter patrimony. Some notable beguines even became the spiritual directors of priests who sought them out. In some places this was acceptable to the bishops, but often it was not. The priests did it anyway. Amazing times! In Laura Swan’s book, I believe she says that they were often funded by wealthy women? Thanks for the wonderful pix, Ellis, and a reminder of these phenomenal women! Because each was unique, there were apparently some beguinages who had mostly rich women. Others (usually the bigger ones) were open to all classes. What’s also impressive is how fast the movement caught on and the sheer numbers involved. Basically every town in the low countries had at least one and the cities had multiple beguinages. Some had ranks in the hundreds and maybe a thousand. I’m pretty obsessed with them. Definitely our mystical forebears. This was so interesting. I knew about the Cathars. Thank you, Ellis. I’ve written a Cathar book and am looking for a publisher for it. 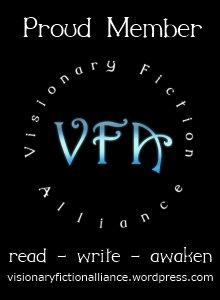 It’s YA visionary fiction. Anyway- we will be traveling into the Langduedoc soon and visiting the burning fields at Montsegur.